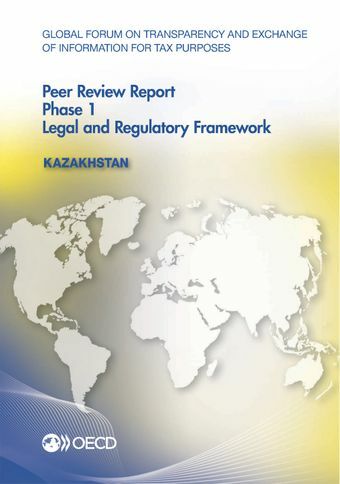 The Phase 1 review of Kazakhstan found that crucial elements of legal framework needed for appropriate implementation of the international standard are not in place. Kazakhstan is therefore recommended to act on the recommendations made in the report before it moves to the Phase 2 review. The main identified deficiencies concern use of tax authority’s access powers for exchange of information purposes. Other elements including availability of ownership, accounting and banking information are nevertheless implemented in Kazakhstan’s law. It is also noted that Kazakhstan signed and ratified the multilateral Convention on Mutual Administrative Assistance in Tax Matters and is ready to address the identified deficiencies promptly. For further information on the exchange of information practice of Kazakhstan and to read the full report click here.